Let’s face it. Cutting large sheets of plywood or MDF is never much fun. They’re heavy and awkward to handle. Not to mention that wrestling a large sheet of material on the table saw can be downright dangerous. The obvious solution is to use a circular saw to break them down into pieces of manageable size. There’s only one problem. 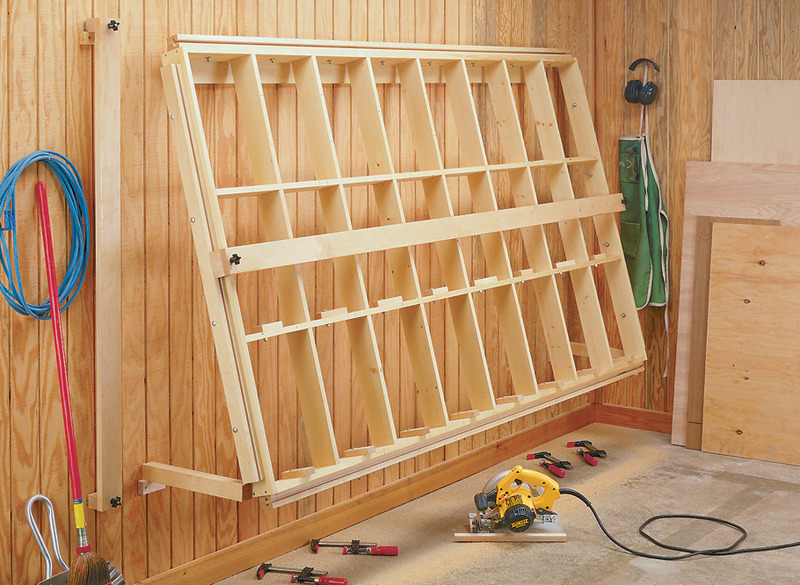 It’s often difficult to find enough room to set up a pair of sawhorses and lay the sheet down flat on top of them. 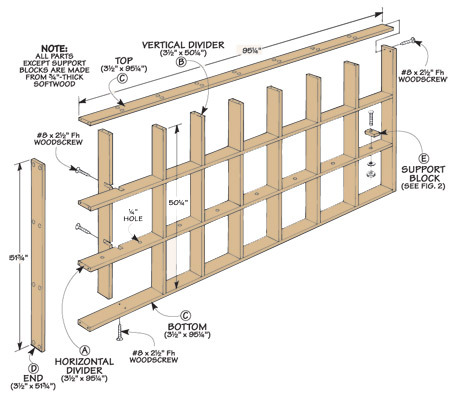 To save floor space, this guide mounts to the wall. 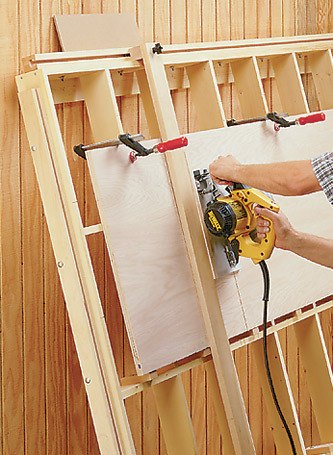 The panel cutting guide has a large grid that tilts out from the wall and holds the sheet at an angle. With the workpiece resting against the grid, it eliminates the “long reach” required when cutting sheet goods on sawhorses. Plus, the grid supports the entire surface area of the sheet. 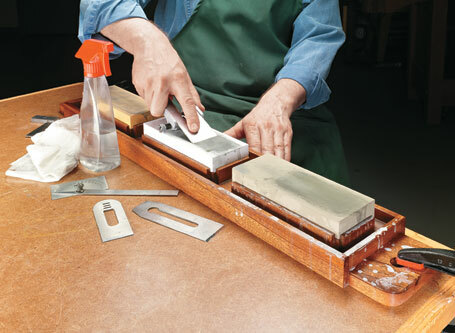 As a result, the cutoff portion of the sheet won’t sag and cause the saw blade to bind. 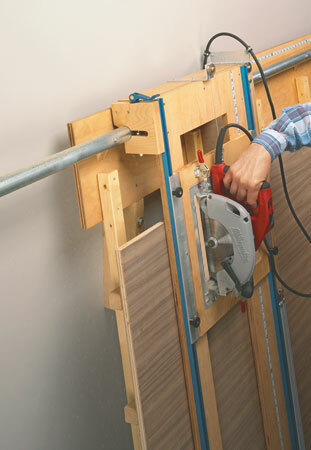 To produce accurate results, the panel cutting guide has two separate fences that are used to guide the circular saw. If you need to rip a sheet of plywood, just slip a long horizontal fence into the rails on the ends of the grid. 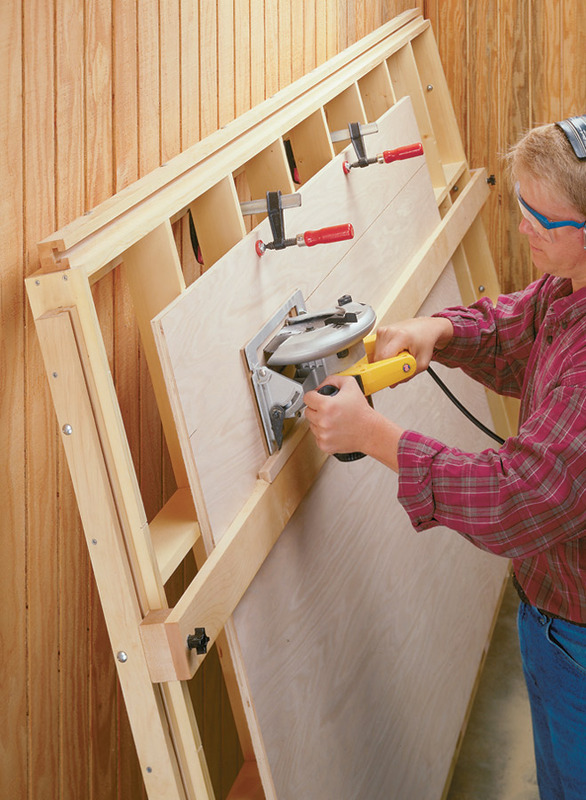 To crosscut a workpiece, remove the long fence and install a shorter, vertical fence that slides in the rails on the top and bottom of the grid. 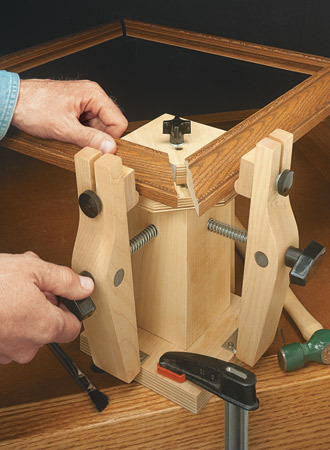 With this rugged miter vise, clamping perfect gap-free miters is a snap.